Runaway fuel prices: To what extent are international oil prices to blame? Manmade textile industry is on the cusp of turnaround with a revival in its demand in the last few weeks following producers’ ability to fix prices of their products in the wake of stabilizing crude oil prices. Trading at $85.10 a barrel in the world market, crude oil price gradually slipped to the level of $49.79 a barrel towards the end of December and gradually picked up again to trade currently at $65.05 a barrel. Most importantly, crude oil price is holding above $60 a barrel since February 1 which allowed synthetic yarn, fabric and textile manufacturers to fix their product prices for long term. Prices of synthetic yarn and fabric moved in tandem with crude oil prices, being the latter the sole raw material of the former. Stabilizing crude oil prices have come as a major relief for manmade fibre and yarn manufacturers that were reeling under pressure since demonetizing of high value currency notes of Rs 500 and Rs 1000 denominations in November 2016 followed by implementation of the goods and services tax (GST) in July 2017. Before these two revolutionary steps, a large portion of manmade yarn and fabric business used to get transacted in cash which disappeared on their implementations. “With the revival in demand, manmade fibre and yarn business is on a turnaround path. December quarter was highly volatile due to huge volatility in crude oil prices. 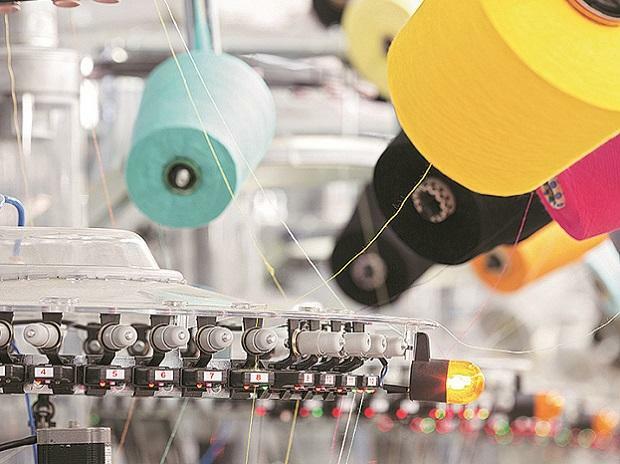 After that, crude oil prices stabilized which brought stability to manmade fibre and yarn business as well,” said Madhu Sudhan Bhageria, Chairman and Managing Director, Filatex India Ltd, one of the country’s largest manufacturers of manmade fibre and yarn. The revival in demand also percolated to the share price movement of manmade fibre and yarn manufacturers which rose upto 10 per cent in the last two weeks. 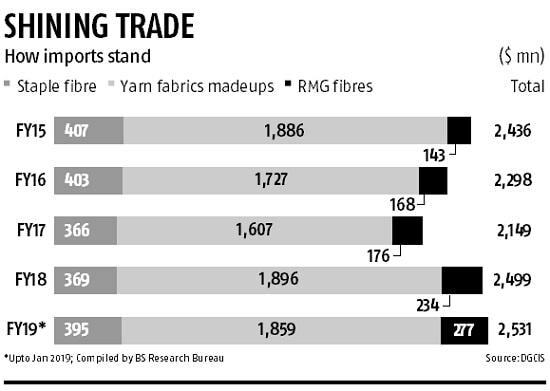 Indian manmade fibre and yarn manufacturers are betting big to grab the market share of the China, the world’s largest producer of these products, due to rising labour cost. Industry sources said that the labour cost in China has risen to $1100 per month as compared to $200 per month in India. Sensing this opportunity, however, leading manmade fibre and yarn players have chalked out massive investment plans to expand their capacity and grab large share in the world market. Filatex India, for example, has envisaged Rs 275 crore expansion plan to raise their production capacity of yarn and power to reduce its production cost and improve its EBIDTA margins for this year. According to Sanjay Jain, Chairman of the Confederation of Indian Textile Industry (CITI) and managing director of TT brand garments, globally the fibre consumption is dominated by manmade fibres having 70 per cent of share in total fibre consumption while natural fibres constitute only 30 per cent. “Contrary to the global trend, fibre consumption in India is skewed towards natural fibres, especially cotton. The growth of cotton is limited owing to limited agricultural land availability and price volatility. Hence, in order to achieve the desired growth target of $300 billion market by 2025 it has become important for India to focus on manmade textiles along with cotton textiles,” he added. “The downstream industries in the manmade fibre textile value chain – spinning and weaving, which is the largest employment generator in the entire value chain are facing acute stress due to high prices of domestic staple fibre relative to what our competitors get in other countries. This affects the export competitiveness of the domestic downstream MMF textile industry and also makes the industry venerable to imports of value added MMF products,” said Rakesh Mehra, a senior industry official. Anti-dumping duties in the beginning of the textile manufacturing chain hurt the down-stream industry. Presently, anti-dumping duty on purified terephthalic (PTA) is Rs 4 - 6 per kg and on VSF (Viscose Staple Fibre) at Rs 12 per kg. India has huge and efficient capacities in the manufacturing of polyester staple fibre and also viscose staple fibre. Rising import due to the free trade agreement (FTA) signed by the government, however, needs to be curbed, Jain said.